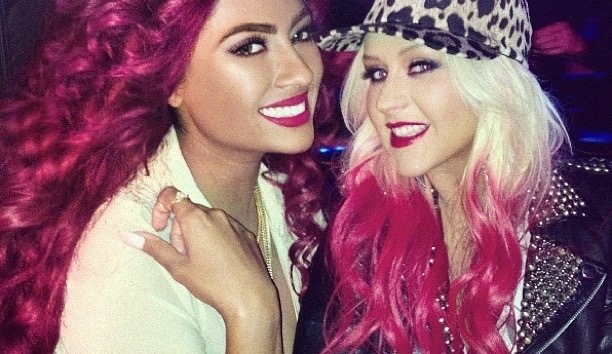 #AO: CANDICE PILLAY'S 'COCKINESS' IS WHAT ALL GIRLS WANT, INCLUDING XTINA! CANDICE PILLAY'S 'COCKINESS' IS WHAT ALL GIRLS WANT, INCLUDING XTINA! In a recent interview with HIPHOPDX, Candice Pillay, opens up about how Hip-Hop changed her live, her work with Dr. Dre, as well as her work on Christina Aguilera's last album, "Lotus". DX: I remember you saying songwriting just kind of fell in your lap at the Musicology songwriting panel. I took four years off my main career, and I started to really study ways to become a better writer. I did eight songs on Christina Aguilera’s project. I figured, people are asking me for records now, I have to be good at what I do. I literally stayed in the studio for like a year. I was writing, writing, writing, writing. I signed to Alex da Kid right after Bangladesh. From there, I was able to be more like a well-versed writer.